Approximately 60 volunteers, including adults and children, assisted with a Recovery and Wellness project on Saturday. 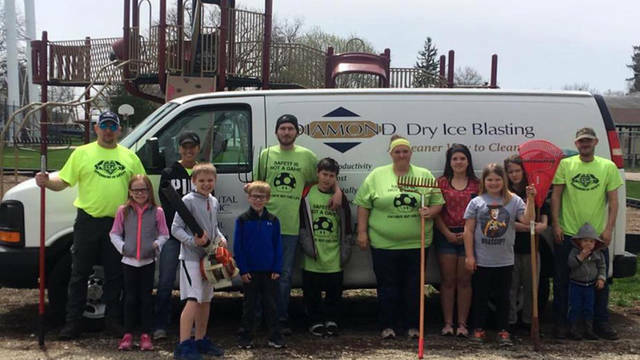 GREENVILLE – Continental Carbonic Products, Inc. employees took part in assisting with a grant written by Recovery and Wellness on Saturday for a Global Youth Day of Service. Recovery and Wellness Prevention Specialist Kelly Harrison wrote a grant through Serve Ohio and also received matching funds from Sharon Deschambeau, president of the Coalition for a Healthy Darke County, to beautify the city. Research has shown that a crisp, clean community may help reduce crime and drug activity, which is something Recovery and Wellness strongly supports as it works with clients by prevention and treatment efforts. 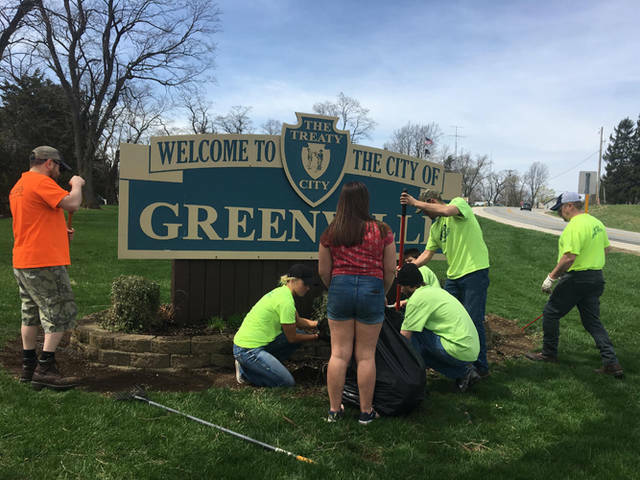 The City of Greenville was instrumental in assisting with projects by providing drop off points for mulch and supplies and paint to do various projects throughout the community. Harrison said the project would not be possible to pull together without the quick and efficient help of the City of Greenville. 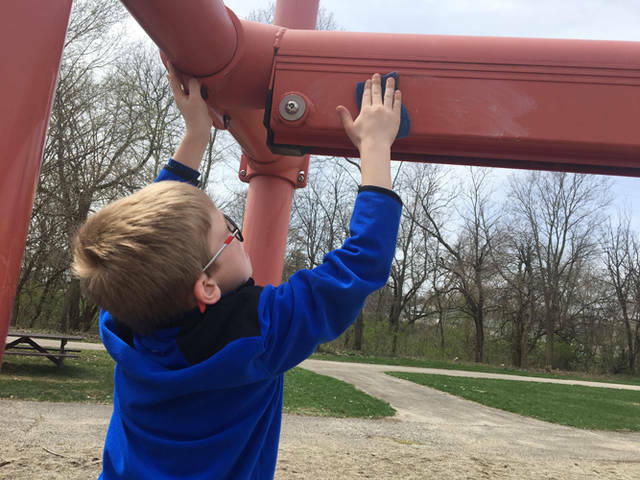 Approximately 60 volunteers, including adults and children, assisted with this project. Areas covered were under the Main Street bridge by Citizens for Safer Streets, founded by Hala Knapke; trash pick up by Girl Scouts Troop led by Christy Gulley; South Park and Greenville entrance sign at 49, led by Rocky Harrison and team at Continental Carbonic; Recovery and Wellness office led by the Management Team and Majority Teens; Greenville K-8 Building trash pick up by the Michael’s Resource and Treatment Center Youth; County Home Clean Up by ACES Alternative School students; the Greenville sign at 36 by the Stonerock family; and North Park Clean up by the Stewart family. One of the most visible projects funded by the grant was the elegant lighting at the entrance and exit of the Bike Path on 4th Street. This was researched by Curt Garrison in partnership with Recovery and Wellness and placed by the Delk family and other families employed by the City Department. 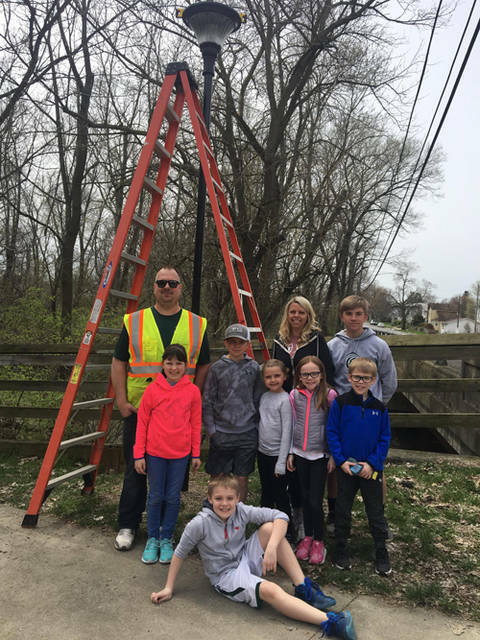 In addition to the Serve Ohio Grant and the Coalition for a Healthy Darke County, Continental Carbonic purchased flowers for the event, Flory’s committed to donate a tree by the bike path as well as other donations are to come from the Citizens for Safer Streets Group. Anyone who is interested in donating to continue lighting the bike path should contact Curt Garrison or Ryan Delk at the City of Greenville. For more information about Recovery and Wellness/We are the Majority Youth led program, contact the agency at 937-548-6842.